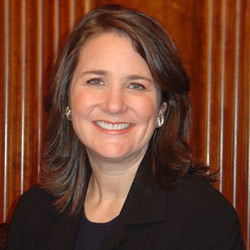 Congresswoman DeGette has made it abundantly clear: she is a chemical safety champion. She knows the bill on the table in the House is not enough to protect our families from dangerous chemicals, but she refused to give up on the fight, stating "we need to move the ball forward to get to the sweet spot." Take Action: Thank Rep. DeGette for her dedication to protecting Colorado's communities from toxic chemicals. I'm writing today to thank you for your dedication to chemical safety. For years, you have been working to reform the ineffective, outdated Toxic Substances Control Act of 1976 (TSCA). Your words at the recent hearing of the Subcommittee on Environment and the Economy proved that you are not giving up the fight. As you know, TSCA leaves our families and communities dangerously unprotected. Chemicals tied to serious health problems like cancer, infertility, autism, and asthma are in common use today. Colorado deserves better, and I am grateful that we have you in office to protect us. Please continue to stand up as a chemical safety champion, and ensure that TSCA is replaced with strong, meaningful legislation that protects us from the dangers of toxic chemicals.